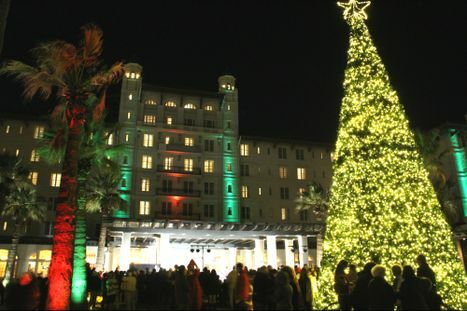 Performances from The Nutcracker, a hand bell choir, and area carolers will entertain at this year’s Galveston Holiday Lighting Celebration at Hotel Galvez & Spa®, A Wyndham Grand® Hotel, on Friday, Nov. 28 beginning at 6 p.m. 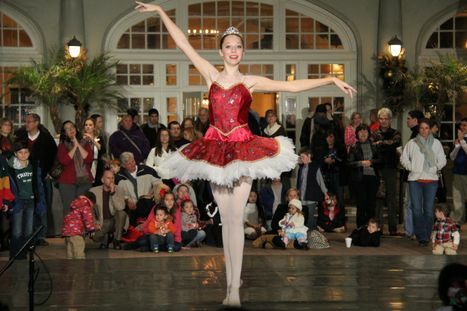 This is one of the more than 1,000 holiday events making Galveston the “Winter Wonder Island” of Texas. The Galveston Holiday Lighting Celebration is an annual, free family event and marks the start of the official holiday season in Galveston. The Galveston Holiday Lighting Celebration begins with the arrival of Santa Claus by horse-drawn carriage, followed by the lighting of the hotel’s 35-foot Christmas tree with a count-down led by Santa Claus and Galveston’s Mayor Pro-Tem Terrilyn Tarlton. KHOU-TV’s Mia Gradney will emcee the event. Guests will be entertained by Moody Festival Ringers led by Tish Massey, Fanfare Lutheran Music Academy led by choir director Anita Donato, and Galveston Heritage Choral under the direction of Izola Collins, as well as Trinity School Choir led by Laura Hyatt. The evening will conclude with a performance by the Galveston Ballet. Dickens on The Strand’s Queen Victoria and the Nesquik Bunny from Nestle Toll House Café will also make special appearances during the festivities. Additionally, children can have photos taken with Santa Claus in the hotel’s Music Hall. Souvenir photos with Santa by KC Photography will be available for purchase for $15. Throughout the evening’s festivities, Hotel Galvez will accept monetary donations for the Salvation Army to help make the holidays brighter for all members of the community. Hotel Galvez & Spa is offering a special holiday package during the Thanksgiving weekend adding to the celebration of Galveston’s Holiday festivities. The Thanksgiving Getaway package includes an overnight stay, Thanksgiving brunch for two, complimentary valet parking and courtesy shuttle service to Galveston’s historic Strand District for shopping, dining and entertainment. Additionally, the hotel is offering a Galvez Holiday Getaway package throughout the holiday season. This package includes a $50 food and beverage credit, complimentary valet. See special offers at www.HotelGalvez.com. For details on Galveston’s holiday events, visit www.Galveston.com/HolidayMagic. Hotel Galvez & Spa®, A Wyndham Grand® Hotel and National Trust Historic Hotel of America, is the only historic beachfront hotel on the Texas Gulf Coast. This 224-room, century-old hotel offers 13,000 square feet of meeting space, a 9,763-square-foot spa, fitness center, full-service restaurant, lobby bar, pool with a swim-up bar and Hall of History. The hotel is rated four diamonds by AAA and is owned by the Cynthia and George Mitchell family as part of Mitchell Historic Properties. For reservations, call (800) WYNDHAM, or visit www.HotelGalvez.com. Wyndham Hotels and Resorts, LLC, a subsidiary of Wyndham Worldwide Corporation (NYSE: WYN), offers upscale hotel and resort accommodation throughout the United States, Canada, Mexico, Central and South America, the Caribbean, Europe, the Middle East and China. All Wyndham® hotels are either franchised by Wyndham Hotel Group or managed by Wyndham Hotel Management, Inc., or one of its affiliates. Additional information and reservations for all Wyndham hotels are available by visiting www.wyndham.com. Travelers have the opportunity to earn and redeem points through Wyndham Rewards®, the brand’s guest loyalty program, which can be joined for free at www.wyndhamrewards.com. Wyndham Hotel Group is the world’s largest hotel company with approximately 7,410 hotels and over 635,100 rooms in 67 countries under 15 hotel brands. Additional information is available at www.wyndhamworldwide.com. For more information about hotel franchising opportunities visit www.whgdevelopment.com. Galveston Island is a historic beach town located on the Gulf of Mexico just 50 miles from Houston. The island is best known as a vacation destination, offering 32 miles of beaches, a variety of family attractions, Texas’ premier cruise port and one of the largest and well-preserved concentrations of Victorian architecture in the country. For more information on Galveston Island visit www.galveston.com or call 1-888-GAL-ISLE. The Galveston Holiday Lighting Celebration is held the Friday after Thanksgiving and always features local talent as part of the annual celebration. A variety of local talent performs at the Galveston Holiday Lighting Celebration. An annual favorite is the Galveston Ballet who performs vignettes of The Nutcracker.